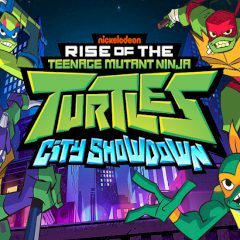 Ninja Turtles are going to patrol the city and find scum that wants to do something bad. Battle them and level up! Find enemies by jumping on the roofs and battle them. Use turtles one by one and deal with enemies. Level up and unlock new abilities of your heroes to be able to fight powerful villains.